Want to know how high your cholesterol is but cannot afford to pay €50-60 euro to visit a doctor? Did you know that at Pharmacy First Plus you can have full breakdown of your cholesterol and a full consultation with a pharmacist for the small fee €15? At Pharmacy First Plus we are committed to Cholesterol Management not just testing. We want to give you all the information to help you understand what your results mean and give you the best advice to help improve those results. Bad education can be worse than no education. Health information is available these days at the touch of a button but finding out what information is correct is less easy. Our job as health professionals is to answer your questions accurately and without bias. Many books have been written and much research has been carried out about the role of cholesterol in heart disease. But what is it? 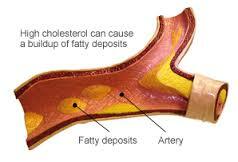 Put simply cholesterol is a fatty, waxy substance. 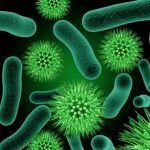 We need a certain amount of it to make hormones, vitamin D, bile salts (digest fats) and also for the structure of our cells. Too much of it leads to a build-up of fat on the lining of our blood vessels. This can narrow the space for blood to pass through, increasing blood pressure. These plaques of fat can break off over time and lead to a stroke or heart attack. Cholesterol comes from two sources: our liver and the food we eat. The vast majority of cholesterol is made by our body and the rest comes from foods like meat, poultry and full-fat dairy products. There are many types of cholesterol. From a health perspective we talk about “Good” and “Bad” cholesterol. The larger sized, low density type or LDL is the bad cholesterol and the smaller more dense form or HDL is the good cholesterol. The aim is to lower your levels of bad cholesterol and increase your levels of good cholesterol. In a 15 -20 minute consultation we take a small sample of blood and test your cholesterol on site. While we wait for your results, the different components of your cholesterol are explained to you without any jargon. After your appointment we send you a detailed report with your results, our advice to you on lifestyle, diet and exercise and targets for you to achieve over a 3 to 6 month period. 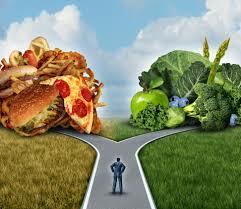 Our job is to empower you to make the choices necessary to live a healthier life. Call into any of our pharmacies today to make an appointment or email laura@pharmacyfirstplus.ie.